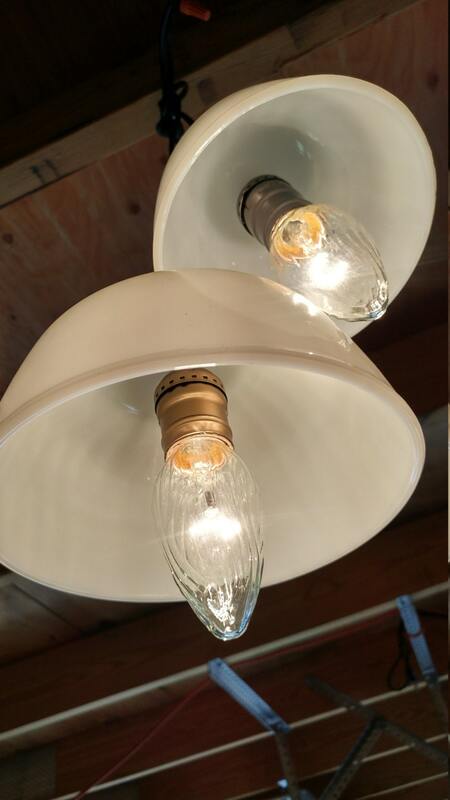 A set of two Fire King bowl lights. 7.5 inch and 5.5 inch mixing bowls. 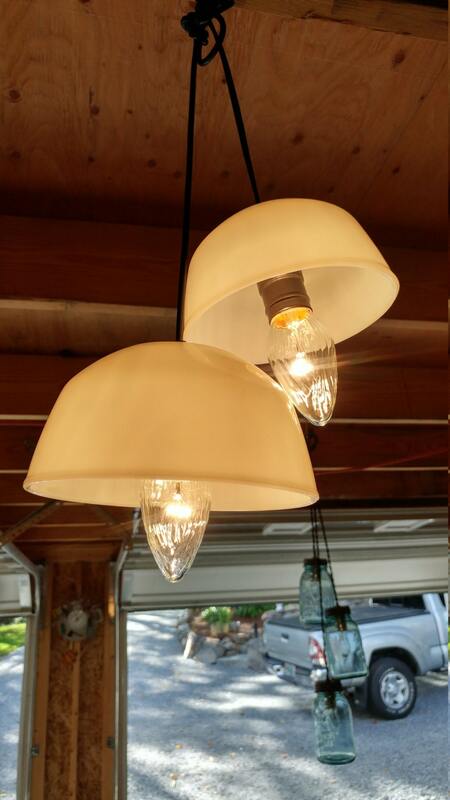 Takes two standard bulbs. Comes ready to hard wire into your light box. 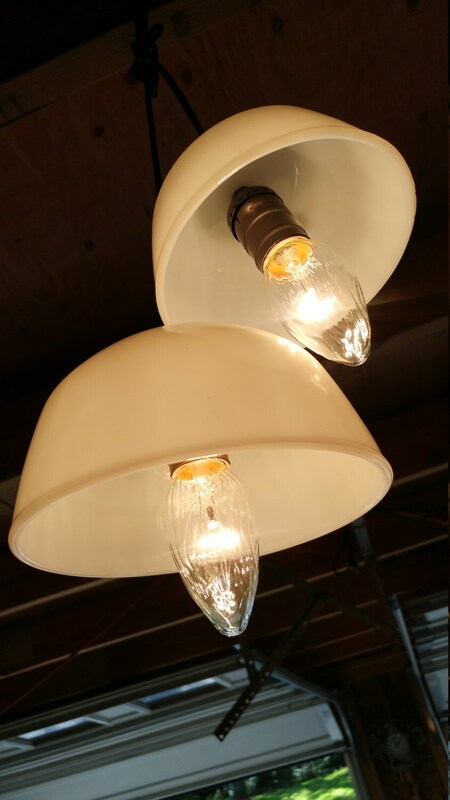 This light makes a wonderful statement in a study, office, bedroom.